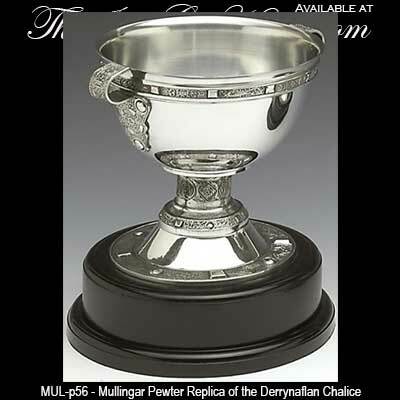 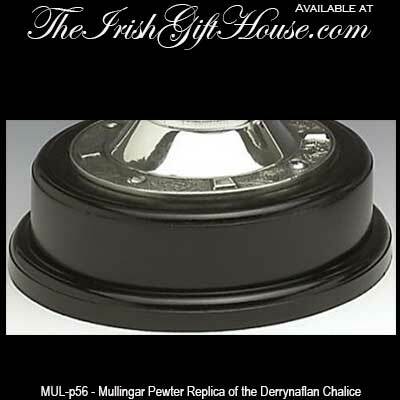 Mullingar Pewter Replica of Derrynaflan Chalice. 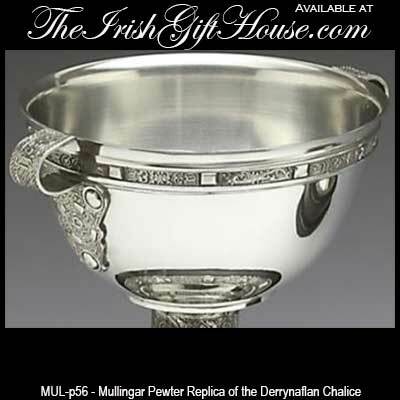 The hoard was probably secreted during the turbulent 10th to 12th centuries, when Viking raids and dynastic turmoil created many occasions when valuables were hidden. 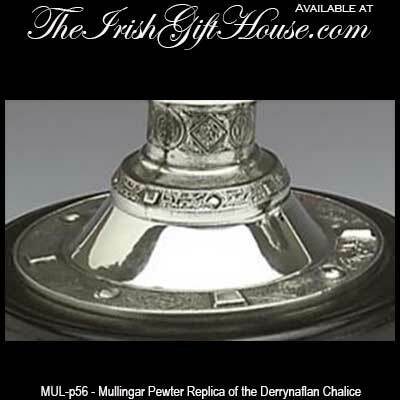 The early and later 10th century is marked by a particular concentration of hoarding in Ireland.